Apple's annual September event usually reveals new iPhone updates, and Wednesday's was no different. 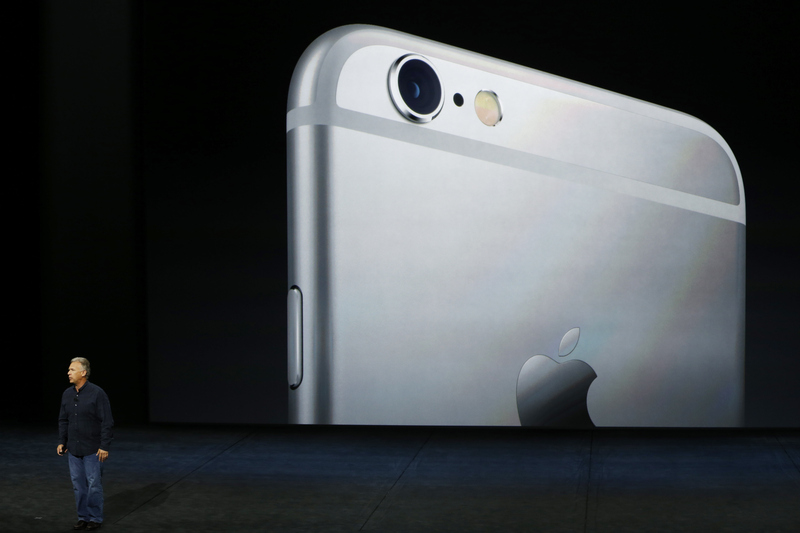 The iPhone 6s and iPhone 6s Plus are scheduled to hit shelves Sept. 25 and the new iOS9 will be available Sept. 16. Although this was a year for upgrades and not the unveiling of a whole new phone, the redesigned iPhone 6S and 6S Plus are pretty different from their predecessors. Each new iPhone and iOS runs a litter faster and smoother, but the new iPhone 6s and 6s Plus features include a better camera, Live Photos, and 3D Touch, while iOS9 boasts redesigned and entirely new app features. At the event in San Francisco, Tim Cook showcased the iPhone 6s, as well as a long-awaited updated Apple TV and a new, larger iPad Pro. The iPhone is always the star of the show though, and the new iPhone 6s ads go as far as to say: "The only thing that's changed is everything." Some of the new features are just the normal processing upgrades to make the phones run better, but others will completely change how we use our phones — especially the camera updates and 3D Touch. Here's an in-depth look at each of the new iPhone features, so you know what to expect when they're released. The iPhone 6S and 6S Plus will have a 12-megapixel camera, compared to the 8-megapixels on the current iPhone 6, and a flash on the front of the phone. Finally, it will be possible to take a good selfie in the dark. The updated camera will also allow you to shoot 4K videos, which have really high resolution. One of the most exciting new features of the updated iPhone is Live Photos. When you take photos on an iPhone 6S or iPhone 6S Plus, the camera will automatically capture the images just before and after your picture is taken, so that images can move, almost like a GIF or the moving images in Harry Potter . On top of the already-existent Multi-Touch motions, like swiping and tapping, 3D Touch incorporates a new gesture — peek and pop — that lets you preview content without fully opening it. With this feature, you can preview e-mails in your inbox by lightly pressing on them, and when you want to open one, you simply press a little harder. New 3D Touch also allows you to preview websites and addresses in texts or e-mails without having to switch over to Safari or Maps. The new iPhones will include an A9 chip, which will make the whole phone work faster, as well as make games and apps more immersive. Apple's website says the updated chip will boost graphic performance by 90 percent compared to previous iPhones. Integrated into the A9 chip is a M9 motion coprocessor, allowing your phone to measure your running or walking pace, on top of how many steps you take. The chip also affects Siri, keeping her on all the time, so you can ask questions without having to hold down the Home button. Apple released a preview of iOS9 a while ago, but now the release date is set for next week. The new iOS9 will include a better version of the Notes app, allowing you to make check-lists, draw sketches with your finger, and add photos, maps, and URLs to notes. The News app through iOS9 will collect all the news stories you want to read from different publications in one place. The more you use the app, the more it learns about your interests, allowing it to tailor the stories it displays to your personal taste. With the iOS update, Maps will finally show public transit information in select cities, including New York City, Philadelphia, San Francisco, Washington D.C., Baltimore, Chicago, London, Mexico City, Toronto, and China (Apple's website doesn't specify which Chinese cities). A new nearby feature within maps will let you look up restaurants, shops, and other destinations near you. An updated Apple Pay will make paying for everything simpler. All you'll have to do is double-click the Home button to access Wallet and to pay, you'll just hold your phone near the reader with your finger on the iPhone Touch ID. Also available with iOS9 is CarPlay, which will allow you to connect your iPhone to your car without plugging it in if your vehicle supports wireless connection. You'll be able to control your iPhone with the car's buttons and knobs, so you don't have to pick up your phone while driving.